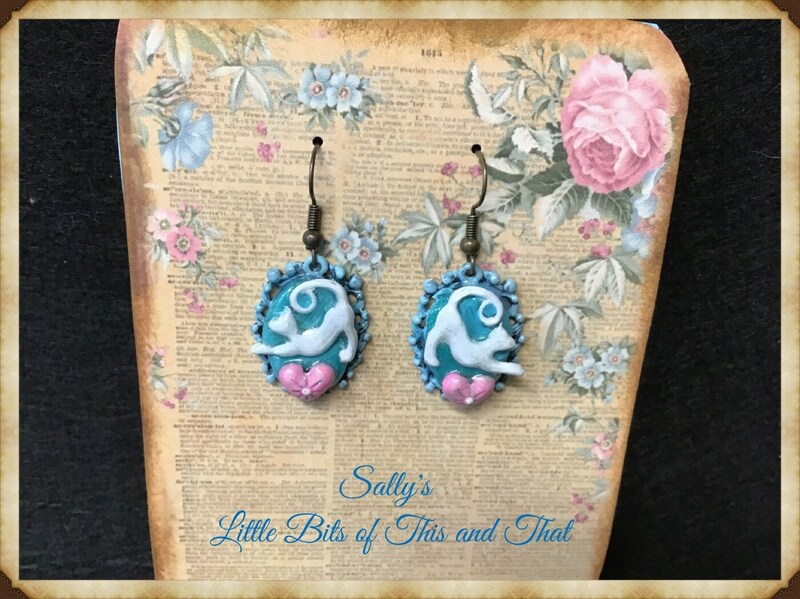 These are some whimsical Cat Earrings, made with a combination of metal, wire and polymer clay. Hand painted and glazed. The french hooks are a bronze color.